I recently read an article in the Cambrian News about the village of Llwyngwril in North Wales. The reason for the coverage in the weekly newspaper is that the community has been trying to raise funds for their local community centre. A very worthy cause, I'm sure you'll agree. However, not satisfied with your everyday, bucket round the houses, bake sale fund raising activities, a group of local residents got together to form the Llwyngwril Yarn Bombers. 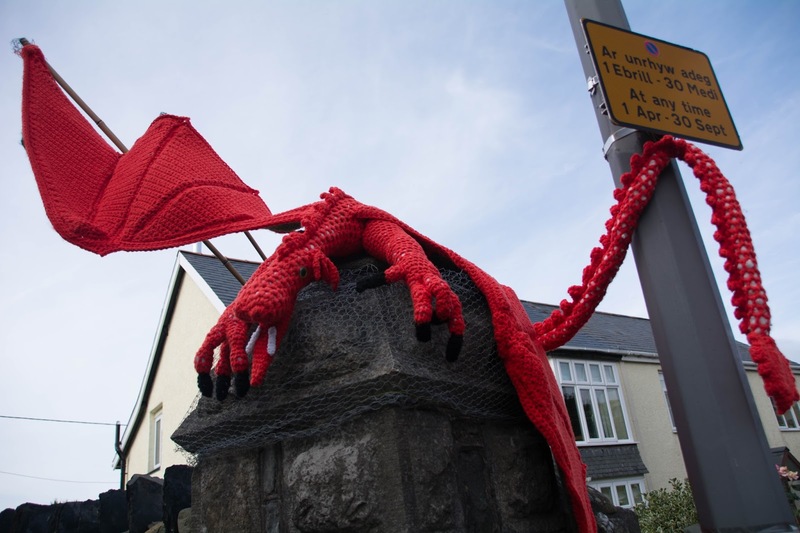 What is a yarn bomber, I hear you cry? Well, basically, it's a local person with mad knittin' skills who joined together with other locals with similarly mad knittin' skills...and then they, well...started knittin' stuff. However, instead of the usual jaggy jumper type monstrosities, you know, the ones your parents used to threaten you with wearing when they were trying to keep you in line when you were young? No? OK, so just my parents, then. How awkward. 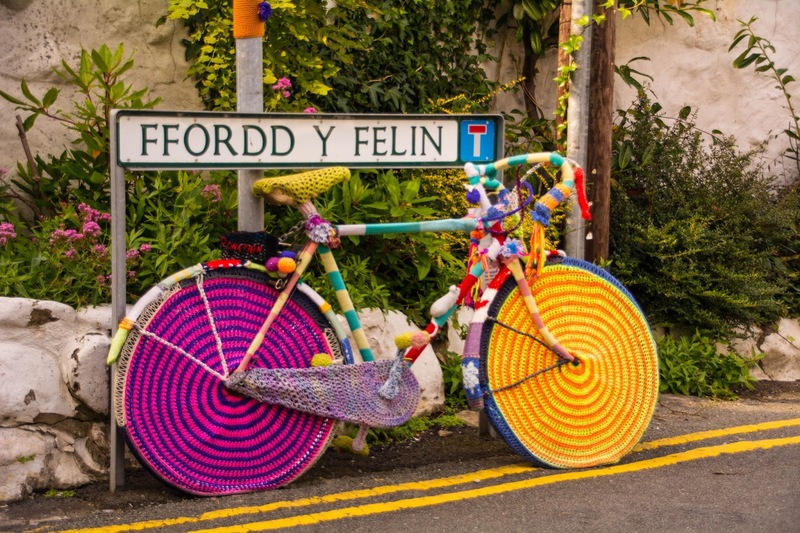 Anyway, instead of these, the good people of Llwyngwril have been in a knitting frenzy, decorating their village in the most colourful and smile-inducing way. Where was I? Oh, yeah, so I read about it in the paper, told LT about it and Boom!...a month later, we finally had the chance to visit! The village is around 4 miles south of Barmouth and the setting is really spectacular. It's a beautiful area anyway, so the enhancements, and the fact that so many people seem to have taken part, totally made my day. If you haven't see it, you absolutely must go - it's guaranteed to make you smile. How amazing is this??? Nearly got myself run over trying to take this shot, but it was totally worth it. Who doesn't want to live in a village that knits cosy bench-jumpers?? 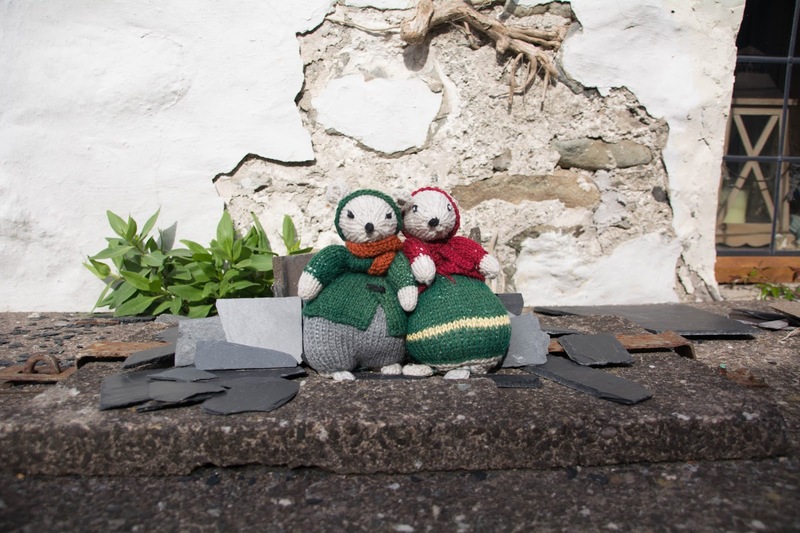 Have you been to Llwyngwril to see the work of the Yarn Bombers?